My mother’s aunt has an amazing garden around her house with a beautiful Lebanese cherry tree , a fig tree and many peach and apricot trees to name a few of the beautiful things growing around their house. She invited us (me, my mum and the kids) to pick cherries a few days ago, the kids were super excited and couldn’t wait to go. The idea of climbing a tree or picking a fig or a cherry right off the branch was a joy beyond words for them. They kept running back and forth with their treasured fruit picks showing me each and every one. Their excitement was infectious and I got carried away and suggested that I would like to make some jam with those amazing cherries and photograph them for my blog. Mum sent me home with a big box of cherries after telling me numerous times that I was getting myself in trouble. Ignorant me insisted that it will be fun and enjoyable.. clearly spending all that time in the sun has gone to my head. 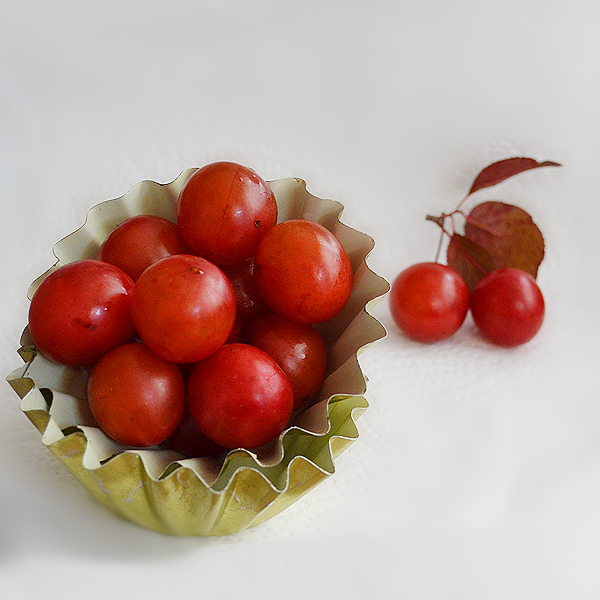 When I got home and emptied the cherries into my sink to wash them, realisation hit me like a ton of bricks..what on earth am I going to do with all these cherries..we are talking about a small mountain of cherries here. 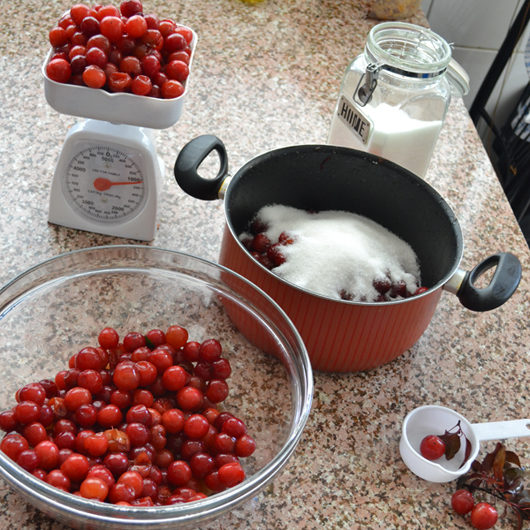 A couple of phone calls to my mum and a lot of deep breathing later I sorted out the cherries into two groups. The really ripe mountain and the firm mountain. The first was transformed into jam and part of the other made a delicious cherry and mango crumble. If you are making jam that you plan to store for a long period of time you need to use a 1:1 fruit to sugar ratio. I on the other hand prefer my jam a little less sweet. I feel that all that sugar overwhelms the delicate fruit so I use a 2:1 ratio and keep my jam in the fridge (That is my mum’s way and I love it). Mum also doesn’t peel nor stone the cherries, she mashes them up by hand and then when the jam starts to boil she uses a slotted spoon to remove the peel and seed. This is not only easier, she says they this gives the jam much more flavor and helps it set. 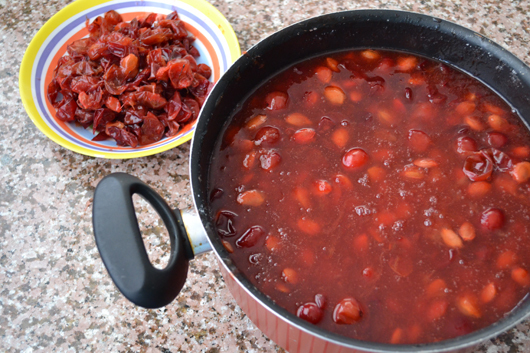 Lower the heat and keep it simmering untill it has reduced by 1/3 or 1/2 depending on how thick you like your jam. Posted in Jam and tagged cherry jam recipe, cherry picking, home made, how to make jam, jam, kids, not too sweet jam, postaweek2011. Bookmark the permalink. This looks just fabulous. You know I have a soft spot for homemade jam. I love simple recipes and you’re so right about picking the ripest fruit. Of my two blackberry batches this year, I can really tell which berries were better. 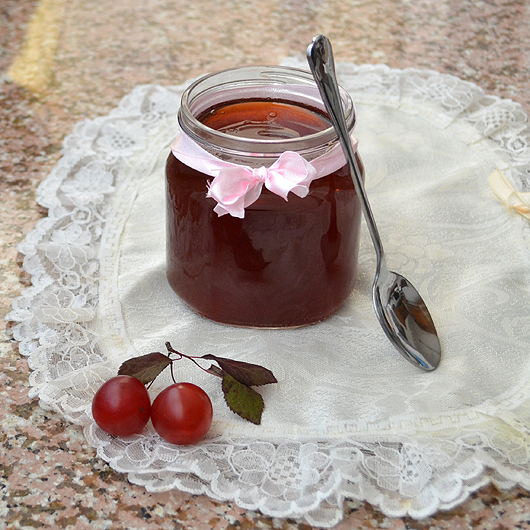 Thank you Greg..You actually inspired me to make this jam..
What very beautiful (and for me unusual) cherries. 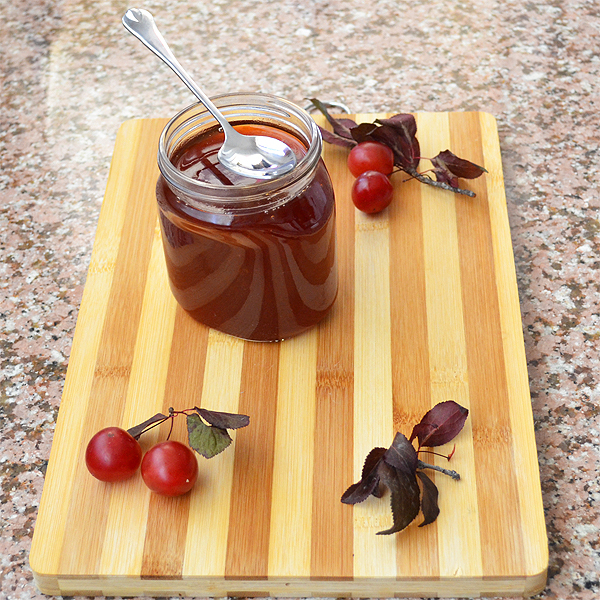 I still have some cherries to turn into jam, so will give your method a go. Sounds like the children had fun! Yum! These look great! I’m off to the Summerland, where cherries orchards are plentiful. Can’t wait to give this recipe a try when I get back! Thank you. Tanja you are absolutely right.. Thank you so much Sheila..I just think that a jam with so much sugar overwhilms the fruit..
Great jam! I have never made jam before. I need to break out and open myself up to jams. Oh that looks so good! I’ve never had cherries straight off a tree, what a treat. Reading a few posts lately about jam is inspiring me… I think I need to start collecting jars. Sawsan, this sounds amazing! I love to make home made jams so this goes on the list! Buzzed this one! Looks wonderful! 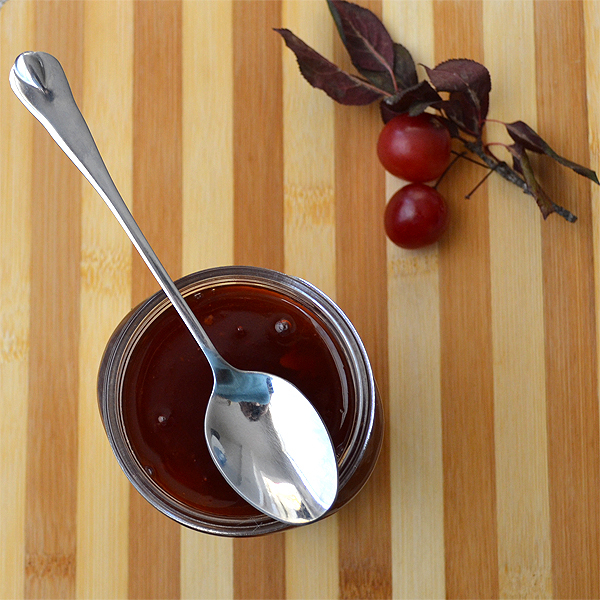 I love jam – I posted a recipe today! This sounds great though, will have to try cherries next time! Looks yummy. I’ve never tried this type of cherry. Sounds like it works well for jam. I really missing that kind of cherry, is it the sour one, wright? It’s along time that I ate it, here there is the sweet one, it’s delicious, but the sour cherries liked it more, thanks sawsan for the recipe. my mom was doing it every year and stuck the pantry for the winter times. There is no comparison to homemade. The color is gorgeous and I like that you reduced the sugar and allowed the ripe fruits’ sweetness to shine. Great photos! I love the not peeling or stoning idea, so much easier! Your jam looks lovely and clear did you strain it before putting into jars or is that how it goes without the stones and peel? 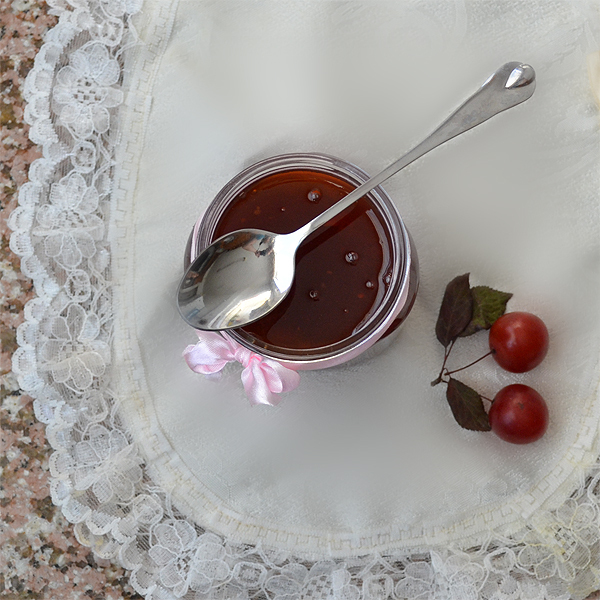 I should make some cherry jam or jelly this year… I usually make jellies as my hubby likes it clear, instead of with fruit…I didn’t make any last year and still have juice in my freezer, so should make so more as my cupboards are getting bare. Jellies are a great gift to give.